To All the Boys I've Loved Before excels in its charming, realistic presentation of high school romance. Through spot-on acting and a straightforward storyline, the film adaptation enchants hopeless romantics. Over the past six months, Netflix queues, Hulu lineups, and illuminated marquees have been saturated by the rom-com genre; Crazy Rich Asians, Insatiable, and Sierra Burgess Is A Loser are just a few examples. However, all of these movies share the plight of reaching too far and grasping too little. Crazy Rich Asians was marred by an excess of characters; Insatiable tried and miserably failed to spread awareness about bullying, sexuality, and body image issues; while Sierra Burgess’ was too coincidental, alienating its audience at every disconnected twist and turn. Thankfully, Netflix’s To All the Boys I’ve Loved Before strikes a simpler, more realistic chord; director Susan Johnson’s wholesome portrayal of the teenage years doesn’t revolve around grandiose mansions, an inaccurate, offensive example of weight loss, or the awkward love story between a stalker and her victim. The film adaptation of the young adult romance novel written by Jenny Han was widely anticipated and has been acclaimed by viewers for its charm and relatability. Though the plotline is slightly far-fetched and has its clichés, audience members can relate to the awkwardness that comes with high school interactions. The story follows Lara Jean Covey, a shy, bookish girl who believes herself to be invisible to the rest of the student body. She has never had a boyfriend, though is a sucker for romance. For every heart-stopping, breathtaking crush she develops, she writes the boy a love letter. Within the letters she pours all of her innermost feelings and thoughts about him, addresses it, and stores them deep inside her closet in a hat box, never to be delivered. Her latest crush, Josh, the boy next door, comes with just one problem: he is her older sister’s ex-boyfriend. Lara Jean’s life takes a dramatic turn when her letters are mysteriously released, and the five boys she has written letters to begin to demand answers from her. She strikes up a deal with one of the boys from her letters, “king of the cafeteria” Peter Kavinsky (Noah Centineo), to pretend to be his girlfriend for a short while so Josh doesn’t believe that she’s in love with him, and Peter can make his ex-girlfriend jealous. As the two get closer and their fake relationship progresses, Lara Jean finds herself slowly falling for Peter, again. To All the Boys rises above all rom-com expectations with its charming characters and witty script. Lana Condor plays Lara Jean in all of her timid, lovable glory, making her one of the most relatable characters audiences have seen on screen. Noah Centineo makes the perfect Peter Kavinsky, a character not unlike his role Jesus on ABC Freeform’s family drama series, The Fosters. Peter might be the most popular guy in school, but Centineo masterfully brings out the character’s soft and sensitive side. Audiences watch as these two characters, who are nothing but polar opposites at first glance, find that they have more in common than either of them anticipated. They fall in love with each other not just as significant others, but as friends. The film’s warm, romantic elements liken it to a realistic, modern-day fairytale. Lara Jean resembles a sweet, inexperienced princess, and is a charming counter to Peter’s confident, endearing prince. The portrayal of the high school experience is romanticized as well; in fact, the film focuses more on the relationship between the two main characters than anything else, as any fairy tale or romantic comedy should. To All the Boys does have its flaws; the 388-page novel tells the story at its own appropriate pace, but the hour and forty-five-minute film doesn’t do the same justice. The plot and character development often feel rushed, and Peter and Lara Jean don’t seem to share enough moments to legitimately fall in love. 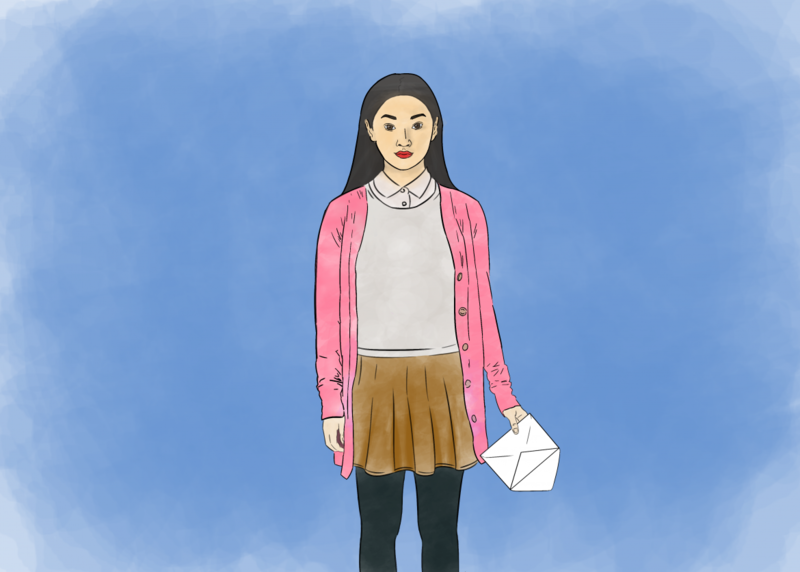 Some of the supporting characters, such as Lara Jean’s sisters Margot and Kitty, played bigger roles in the novel, but their presence came off weaker than expected and desired by readers. A facet of additional note is that producer Jenny Han turned down multiple Hollywood executives that intended to cast a white girl in favor of selecting an Asian American actress in the titular role. For Han, this change in Lara Jean’s character was not up for discussion. Through Lana Condor, To All the Boys attempts to normalize casting Asian Americans in leading roles whose characters are not dependent on their race. To All the Boys I’ve Loved Before is a delightfully charming tale of high school romance and the film breaks boundaries and entertains its audience to no end. Despite its flaws, To All the Boys captures the essence of being young and in love, the perfect movie for all hopeless teen romantics. To All the Boys I’ve Loved Before is now streaming on Netflix. 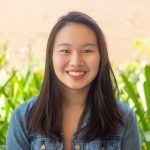 With a passion for storytelling, junior Aanji Sin is excited for her first year on Tiger. As a staff writer, she hopes to be able to further explore the city she has called home for many years and reach the community through her words. When not writing, Aanji can be found watching Friends and rereading Harry Potter.